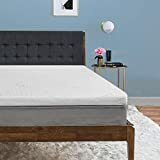 An insane night sleep is just around the corner and, better yet, you don’t have to go broke buying your TempurPedic thanks to some amazing sales and deals. You may not even need that prized promo code! In a world where new mattresses in a box seem to be popping up everywhere we look, we love a tried and true (read: traditional) mattress that’s stood the test of time. Yes, we’re talking about the classic Tempur-Pedic. Sure it’s a bit on the pricer side, but from our experience and research, it can be totally worth it. After all, this is your sleep we’re talking about. We’re not overly afraid of the price though, especially when coupon codes for a decent percentage off appears online from time to time. We’ll use all the help we can get! What we love about this classic brand is that, on average, we won’t see a traditional percent off. They’re pretty straight-forward and let you know how many dollars (and we’re typically talking hundreds) are being taken off the original price. Over the past few months of monitoring their sales and deals, we’ve witnesses anywhere from $100 – $500 off select mattresses. That’s pretty decent. Outside of their regular sales, they offer a 90-day sleep trial (if you don’t love it after 90 days they’ll make it right for you). Even better, they currently offer a 10-year full repair or replacement (and there’s no deductible) limited warranty. Score! 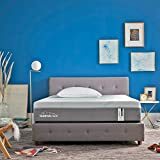 Check out some of the best TempurPedic sales, promos, and deals (so far) in April 2019. Check out all the latest amazing deals, promos, and great ways to save at Tempur-Pedic this month. Click through to find out how to get free shipping on your mattress too! Check out the latest must-try mattresses this month so you can officially have the best sleep ever! Plus, click through to see how you can qualify to receive a $300 instant gift while the promo is still going on. Restrictions apply. Score 20% Off Tempur-Topper Today! If you haven't tried the Tempur-Topper, you must! And right now you get get 20% off when you buy any Tempur-Topper supreme. Get ready to have the sleep of your life! Nothing is worse than having to pay for shipping. That's why we're loving the current offer of free shipping on any mattress you buy direct. Plus, if you request it they'll even set it up in your room for you and remove your old mattress. Perfect! Enjoy 25% Off Select Bedding & Pillows Now! It's time to complete your sleeping upgrade! For a limited time you can take up to 25% off select pillows and bedding when you purchase a mattress set. We're talking about things like pillows, pillow cases, comforters, sheets, and more! Pillow Sale: Right Now Get 2 Pillows for $99! What's better than one pillow? How about 2 pillows? Better yet, how about 2 pillows for just $99. We're loving this deal because normally 1 pillow alone is $79. Amazing sale prices await you! Some of the Best Sheets of the Year are Named Here! Have You Checked Out Leesa Mattresses Online Yet?